Well it can’t get any trver than this! 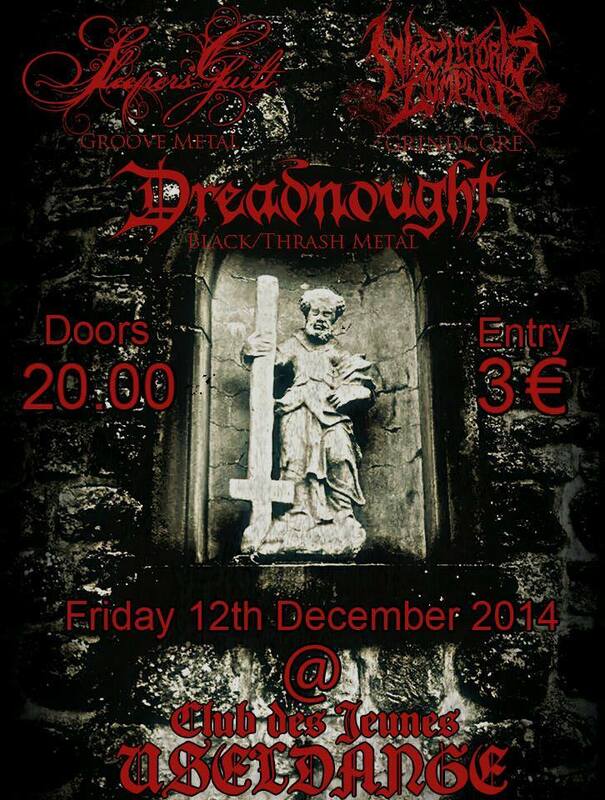 We’ll share the stage at Trveseldeng with our mates from Mike Litoris Complot and Dreadnought! Well, now take a wild guess at where this pvre fvcking awesomeness will take place? Right, in goold old Vseldange. Hell yeah, looking forward to this one! We’ll bring the music, you bring the goats! See you there! This entry was posted on 12. November 2014 by Sleepers' Guilt. It was filed under Shows and was tagged with December, Dreadnought, Live, Mike Litoris Complot, Trveseldeng, Useldeng.